Wheatbelt NRM is very pleased to launch our new project partnering with the Australian Government’s Regional Land Partnership. 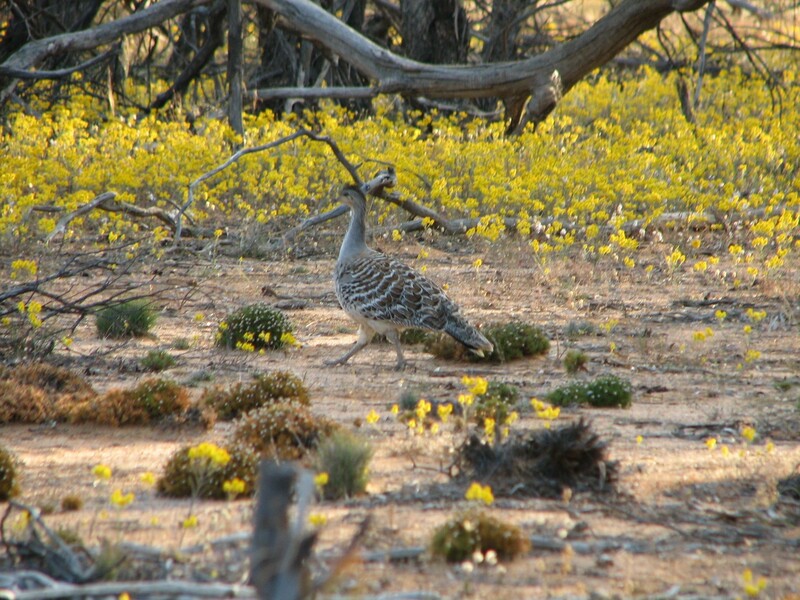 Malleefowl – Pick of the Litter aims to protect the species throughout the region. Have you seen malleefowl? Do you have mounds on your property? Malleefowl, like many species in the Wheatbelt, used to be found across the region, but the loss of habitat and feral predators have reduced their range considerably. The species is now listed as threatened by the Australian and WA Government which means without urgent actions it may disappear forever. Last week we had a chat to a landholder in North Trayning, who knew of 6 malleefowl mounds on his property. The landholder found the mounds after seeing a number of Malleefowl regularly in the paddocks and along nearby roadsides, however, he hasn’t seen any Malleefowl on the property for about a year, which is worrying him. We will be working with landholders like this to protect these birds in patches of native vegetation across the Wheatbelt. Likely action incudes fencing to protect habitat from stock, feral animal control and revegetation to improve connections between patches. Please contact Anika Dent adent@wheatbeltnrm.org.au or 96703104 for further information. Subscribe to our e-newsletter and keep up to date on current events, funding opportunities and NRM in the Wheatbelt.